Last school year, Just Health improved communication in over 100 school-based clinics with over 16,000 patients across five states. See what our users have to say. We know your data is important – and sensitive. So Just Health is completely secure. We’re HIPAA and FERPA compliant, and all of your data is encrypted so you never have to worry about records falling into the wrong hands. And we will never share your data with anyone without your consent. That’s a promise. Sometimes the Wi-Fi just stops working for a day or two. We get it. That’s why we designed our app to work without a constant connection to the internet. Have students take a survey at any time, online or off. As soon as you connect to the internet, your new data automatically syncs. It’s that easy. Questions and answers made easy. 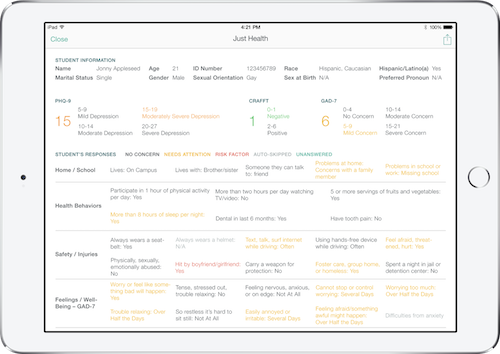 Just Health features a simple interface that make it easy to collect data. 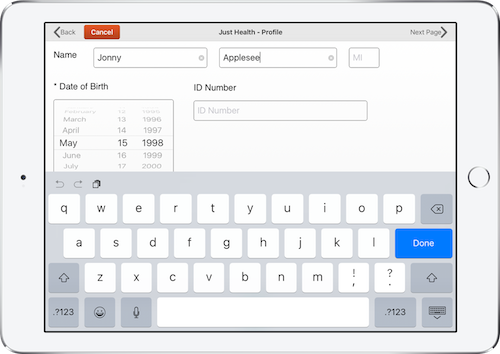 It’s intuitive and easy to use, taking the intimidation out of health surveys. The feedback you need. when you need it. Learning more about students becomes less of a chore. 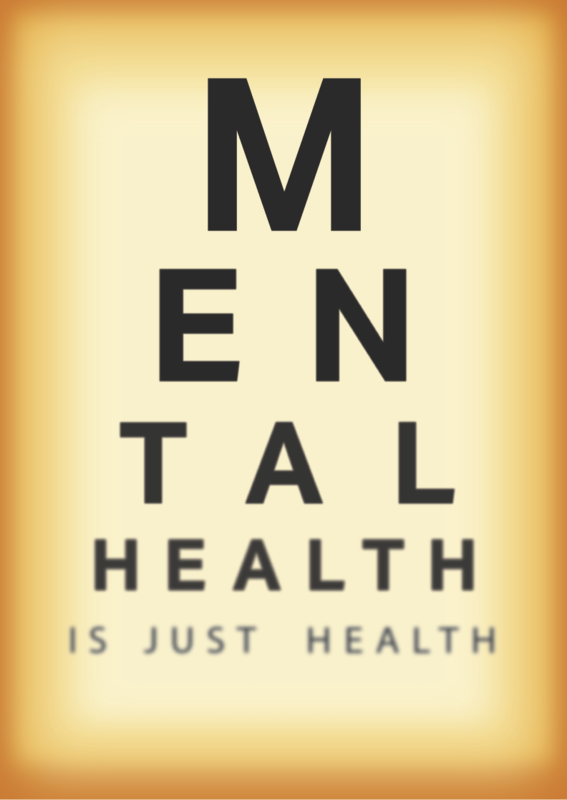 Just Health helps providers focus on the fact that they’re changing lives, not just trudging through paperwork. 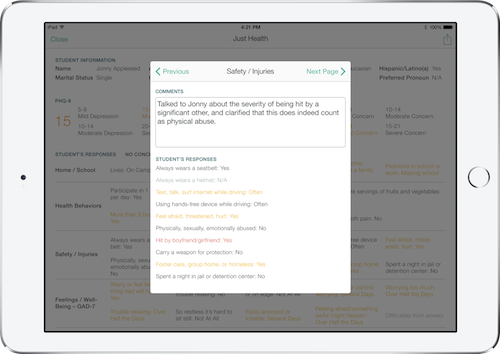 The app highlights key areas of concern, so clinicians can have targeted, focused conversations with students. Simplicity is powerful. Add perspective. Engage with students. 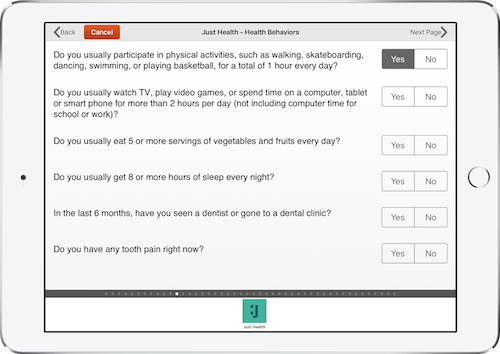 Just Health helps you add perspective to survey responses, turning information into knowledge. When a student takes a survey, that’s data. But when a professional adds comments and reviews the results with the student – suddenly, data becomes actionable and meaningful.